Mind Games is a pretty savory bit of murder and seemingly random violence that from the start drops hints designed to lead you in one direction, while the narrative heads in another. It’s a pretty clever movie in other ways as well. For instance, one character is a apparently grabbed by someone in an abandoned mine, or was she? Whomever it was left bloody fingernails across her ankle, seemingly no one else can see them. The weird happenings continue to pile up one one after another, till there can be only one answer, no matter how unlikely or impossible that answer happens to be. If I were to compare Mind Games to any other film it would be Cabin In The Woods, though I am not implying that that it’s as entertaining as that film, because it isn’t. It’s not nearly as fantastical, though it has a few surprises up its sleeve. It’s also well-cast, and like that film, revolves around a group of young people that are visiting a cabin in the woods that belongs to one of their relatives. Though the characters don’t feel disposable, they’re also not quite as fleshed out as I would have liked because I have seen the movie twice, but I still can’t tell you anyone’s names, though to be fair that may have more to do with most of the actors being unfamiliar to me than anything else. Though I recognized one–he wasn’t a big name, but at least was visually familiar; while another was a dead ringer for Shawn Ashmore, though I am pretty sure it wasn’t him. As I said, it’s not quite the thrill ride that Cabin In The Woods is, but it’s also not as self aware as that movie was as well, which is a good thing. 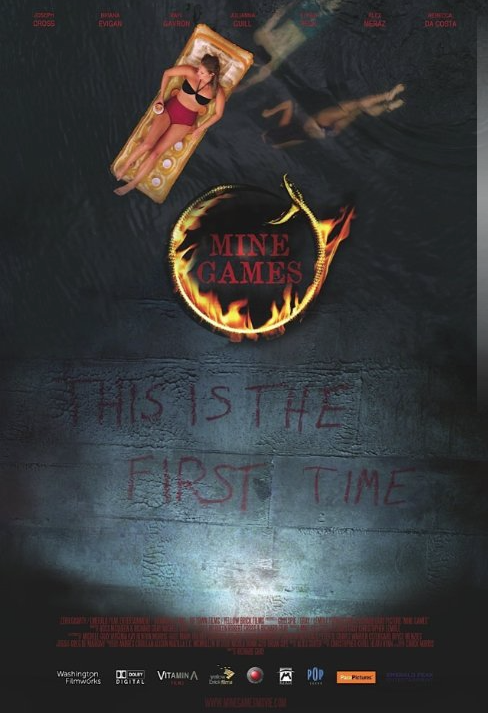 Mine Games is currently showing on Netflix. Posted in actors, horror, Movies, Netflix, review.Tagged Cabin In The Woods, Netflix, Shawn Ashmore.